Into the Woods opened on Broadway in 1987 and won over audiences, claiming three Tonys and four Drama Desk Awards, including Most Outstanding Musical. Into the Woods has music and lyrics by the legendary composer Stephen Sondheim and book by James Lapine. 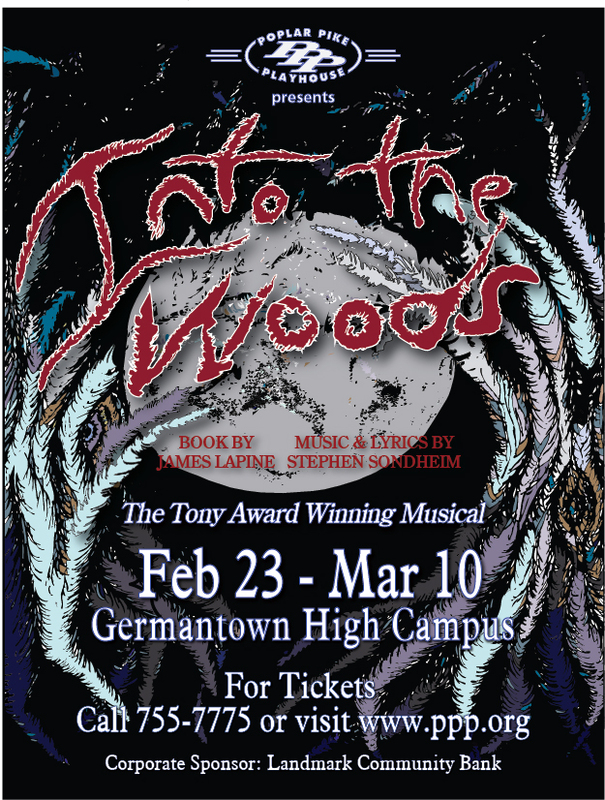 Based on the well-known fairy tales of the Brothers Grimm, Into the Woods leads the audience on a fantastical journey. When a Baker and his wife learn they’ve been cursed with childlessness by the Witch next door, they embark on a quest for the special objects required to break the spell, meeting up with a cast of well known characters including Cinderella, Little Red Riding Hood, Rapunzel and Jack (of beanstalk fame). The mysterious, and often dark, nature of the play provide new meaning to the phrase, “Be careful for what you wish.” In the end, Into the Woods’ hopeful message combines with the unique and beautiful score to create a magical theatrical experience.